Why does the Israeli academic Ethan Rosen condemn an article he himself has written? Doesn’t he recognize his own words? How can he condemn his colleague Rudi Klausinger as an anti-Semite while voicing the same criticisms of the teaching of the Holocaust himself? Rosen and Klausinger are academic rivals, competing for the same professorship. Though both distinguished scholars, they could not be more different – or could they? Ethan should feel at home in Israel and Austria, but feels he belongs in neither. Similarly displaced, high-flying Rudi has never known who his father is, and his quest to find him leads him to Israel and to the Rosens, where Ethan’s father, an old Viennese Jew and Auschwitz survivor, is in desperate need of a kidney transplant. Identity, belonging, anti-Semitism and Zionism – Elsewhere confronts complex themes through the prism of a Jewish family in which old secrets are disclosed and the truth is seemingly forever concealed. At the end of this compelling novel nothing remains certain as Ethan discovers that home is often the place that feels most unfamiliar. 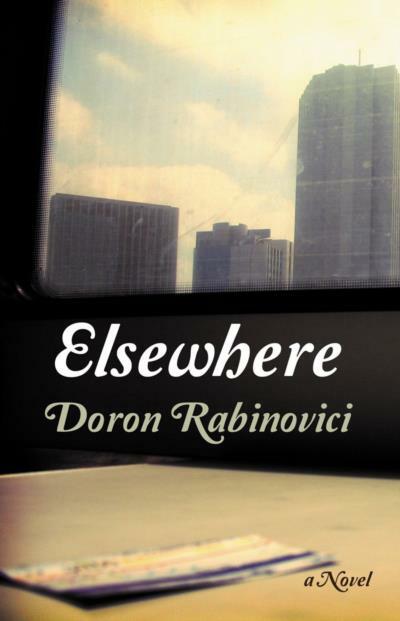 Doron Rabinovici is an Israeli-Austrian writer and historian who has been awarded the Anton Wildgans Prize, the Jean Amery Prize and the Clemens Brentano Prize, amongst others. His books include Eichmann’s Jews: The Jewish Administration of Holocaust Vienna 1938-1945.